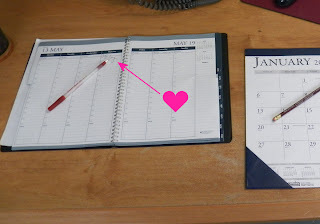 My husband recently started a new job, so I was thrilled to get this 2013 desk calendar and planner from Shoplet to review. Shoplet carries all kinds of office supplies including desk calendars for 2013. 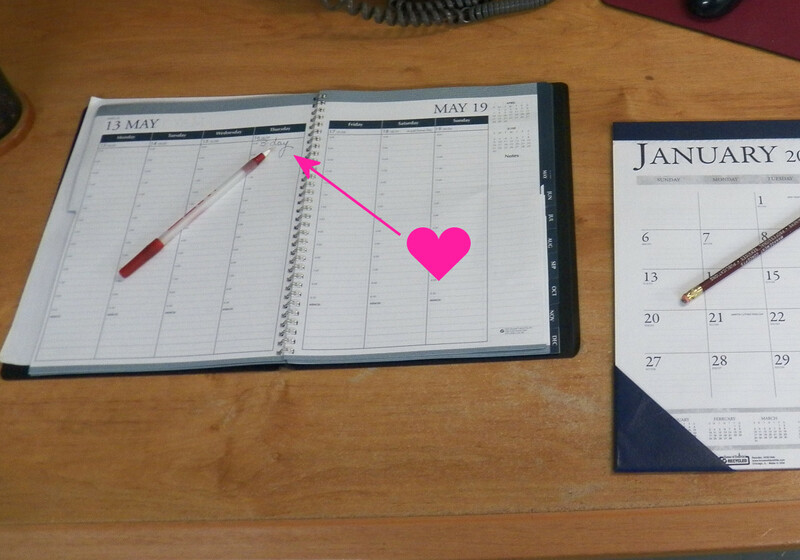 I like desk calendars, there is something so grown up about them. This one is a very attractive pad that's easy to write on with a notes section and nice big squares to keep track of things in. It's a sharp, clean professional look. He works the hotel business, and the blue simulated leather looks nice. It's easy to write on and a great size at 18 1/2 x 13 inches. It's not refillable which is the only thing I don't like about it. Why is there a heart drawn on the above photo? Because after I gave them to Michael for his desk at his new job, and before he took the photo, apparently the first thing he did was mark my birthday. Which I didn't know until I was cropping the photos for this entry. And I'm just all gooey and happy now. Spiral bound planner that can lay flat easily with times and dates marked for 2013. The weeks spread over two pages, and have the previous month and next month on the last column. Again, it's easy to write in, non-refillable and has a nice simulated leather cover that looks good and wipes off easily. It doesn't close, but a large rubber band or a stitched piece of elastic will hold it closed if your going to carry it loose in a laptop bag or purse. One of the things I like best about House of Doolittle products is that they are made using 100% post-consumer waste paper.So if going completely paper-less isn't an option, it's one of the better alternatives. 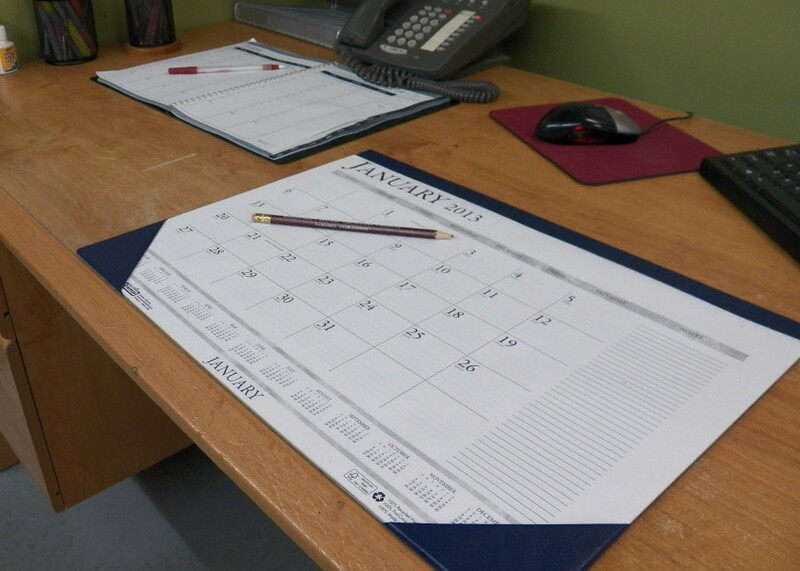 They are also printed using soy inks, and made in the U.S.A.
Lots to be said for paper planners. No backup required. No data loss / power loss.